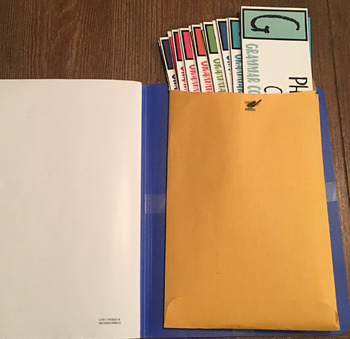 These beautiful note cards are a handy, portable, and comprehensive resource that can be used by writers in all subject areas. 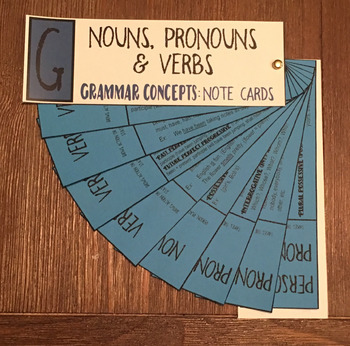 This grammar fan is a great resource tool for all writers. It is aligned with Common Core Language Standards CCSS.ELA-L.1 and CCSS.ELA L.3. 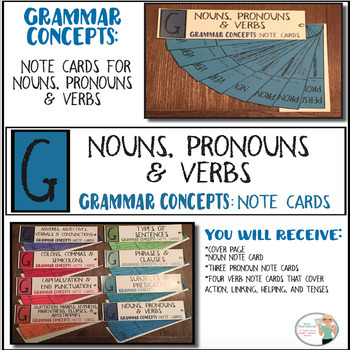 Using Grammar Concepts Note Cards in the classroom engages both visual and kinesthetic learners. It is a handy go-to resource that can be placed inside of an Interactive Student Notebook and used for classwork, homework, or on tests. The note cards are also the perfect resource to place at writing stations and revision centers. 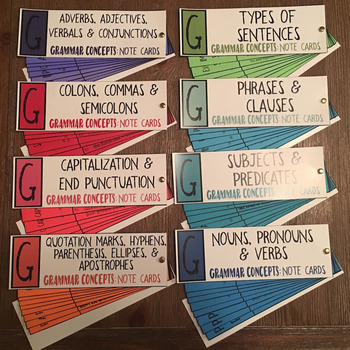 Purchase a bundle of all EIGHT Grammar Concepts sets and save 50%.